Cholatse Peak has situated in the famous Khumbu region in Nepal. 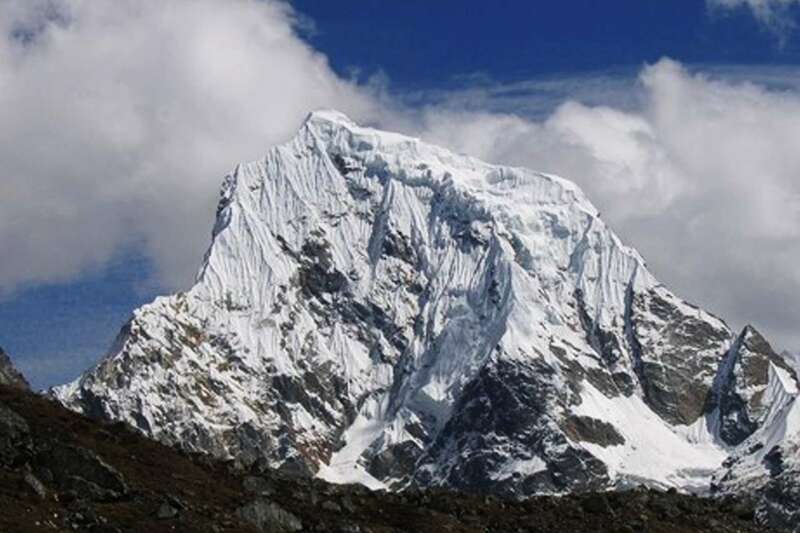 It is quickly establishing itself as a significant peak for climbing — the elevation of Cholatse is 6440 meters. 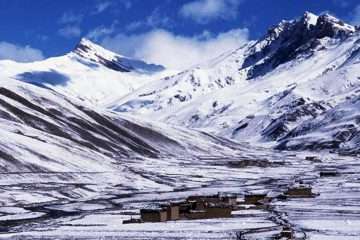 Proper acclimatization requires for this strenuous trek as well as good physical condition. Likewise, all others in the Khumbu region, Cholaste Peak Climbing, commences from a flight from Kathmandu to Lukla. From Lukla, a trek accomplishes to reach the trading spot of Namche Bazaar via Phadking. Then the trekkers ascend upwards into Gokyo valley after acclimatizing at Namche. 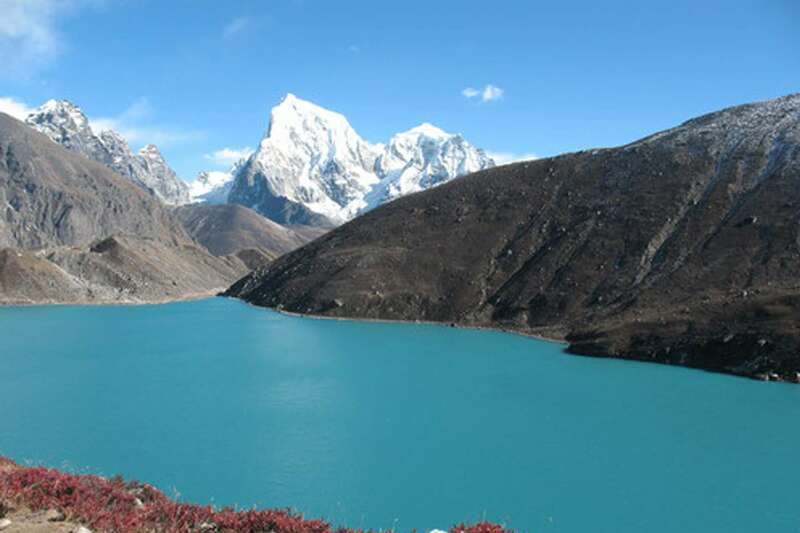 Moreover, explore the beautiful Gokyo Valley and its beautiful Lakes. Then, the trail leads you on the top of Gokyo Ri for a fantastic view of Everest and other impressive peaks. After visiting the Gokyo Ri, further, walk to Chola Phedi via the Gokyo Valley. 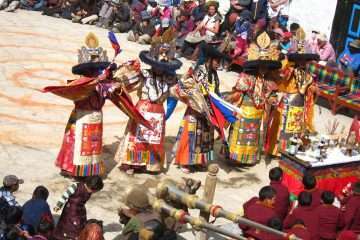 This pass is physically demanding pass accompanies sights of numerous mountain ranges to behold. Although the adventurous yet to be hard trek takes the trekkers into Dzongla frоm the Cho-La pass, with panoramic views of Mount Lhotse and the mighty Mount Everest itself. 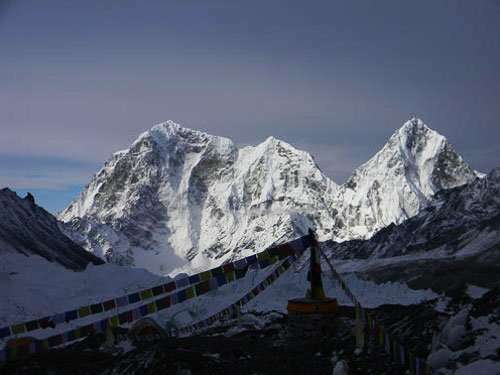 From Dzongla, ascending upwards brings the Cholaste Base Camp whereas the camp will set. 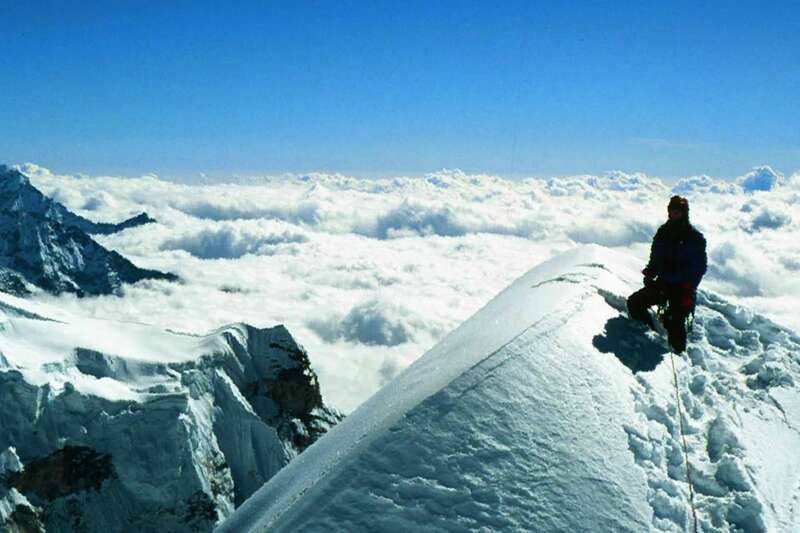 Acclimatization will periodically conclude while climbing to the summit. Finally, the thrill and the adrenaline rush upon reaching the top. Besides that, observing the vast, hypnotic mountain ranges all around are inexplicable. 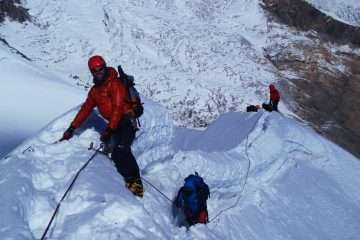 Cholatse Peak climbing does not only offer the spectacular topographic beauty of the Khumbu region but introduces trekkers to the ethnic variety of Nepal also. Furthermore, influenced by Tibetan culture, the warm, welcoming inhabitants of many villages passed on the journey. So, it makes an unforgettable peak climbing experience. Thus, the Cholaste Peak is most recommendable for a trekker with a good physique and an interest in thrill and adventure. You will be transferred to the airport in the early morning as per flight schedule. 40-minute thrilling flights to an airstrip at Lukla by plane offers a marvelous view of Central and Eastern Himalayas and as well as beautiful landscape and hills. Lukla is a gateway of Everest Region. As usual as another day, after the breakfast the trail brings you in the ridge of Namche then an easy walk to Sanasa with spectaculars views of Mt. Everest, Lhotse, Nuptse, Ama Dablam, Thamserku, and others peaks. Then the trail leads uphill to Mang-La pass and descends to the river then the trail gradually ascend to Dole. As usual as other days, your journey begins after a short climb and easy walk to the underneath of rocky hill and continue to climb up passing by few lakes along the trail. Finally, we reach Gokyo Lake. This is a rest day for exploration of Gokyo valley. Hike up to Gokyo Ri in the early morning which offered rewarding mountain scenery which provides us with another proper acclimatization. Then; descend and explore the lake. Day 10: Trek to Dragnak (4,700 m) 3h00 walk. The trail leads you downhill in the same trail then takes a left trail from the first lake. This day is an easy and short walk but more interesting walk along the glacier. Today is more adventure day to make Cho-La pass at (5420 m) begins pretty steeply to the first ridge and an easy walk up to another ridge. Then; trek short descend to get Base of Cho-la and steep climb up to pass; this part is hardest to walk if there is snow. We highly recommend using crampon for this section. It is an easy downhill to Dzongla. Our adventure starts to Cholatse Base Camp, after having breakfast. The trail goes gradually climb up with stunning views of Pumori, Ama Dablam, Labuche Peak and taking 7 hours to reach Base camp of Cholatse. Day 13-22: Climbing Period for Cholatse 6440m. It is a flexible plan for climbing as per the condition of the climber. So, we do not set up a day-to-day itinerary for the climbing period, as the Sherpa and members will determine this. In the normal way, the team will spend a few days at the base camp organizing food, practicing rope skills, and acclimatizing before moving above the base camp. Summit normally push at midnight. So that team reached at top early in the morning. Catch breathtaking sunrise, and surrounding view then gets back to base camp before getting affected by heat. Finally, we wish for your success to reach in the summit. After cleaning up the base camp of Cholatse, we head back to Pangboche village. The first part of the trail is steep descend to Dudh Koshi and cross the first suspension bridge. Then, easy walk up to Phakding by exiting the entry permit of Sagarmatha National Park in Manju. Finally get to Lukla for the night. Day 27: Rest and shopping day. Prices are quoted and payable only in (US$ dollars). All prices published on our websites, brochures, and marketing materials are set as low as possible. The trip prices may vary at any time subject to government actions, numbers of travelers, duration of holidays, and standard hotel. An increase in transportation costs due to hike fuel prices before we have accepted your booking. However, we guarantee our prices which have already signed up for your tour. Please Contact us to Get a custom quote.